Save your money for a rainy day -- or your next pizza craving - with this new line of Teenage Mutant Ninja Turtle Raphael Bank! 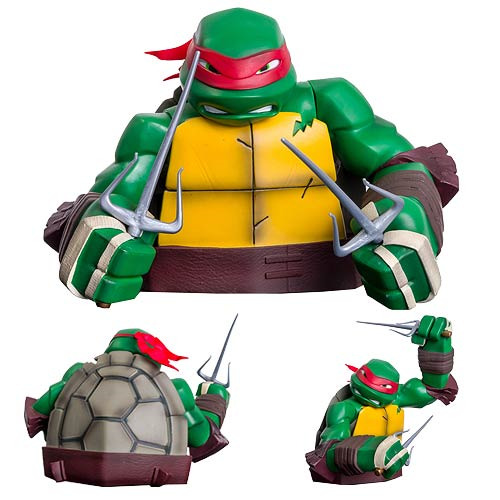 These bust banks of the Ninja Turtles are based on their most recent cartoon appearances, and each wields his trademark weapons. With a coin slot in the back and an access door on the bottom, each articulated bank stands approximately 6-inches tall. Designed and sculpted by Art Asylum! Ages 14 and up.